The Day of the Woman Veteran Women's Health Fair is all day Monday at the VA Medical Center in Portland. The VA Portland Health Care System held a women’s health fair on Monday, calling it "Day of the Woman Veteran." Claudia Hunter traveled all the way from Silver Lake, Washington, leaving Sunday night to make sure she’d make it for Monday's health fair. Hunter served in the Army from 1975 to 1985. "I left as a captain. I started in the Women’s Army Corp. I was one of the first women officers who was transferred from the Women’s Army Corp to the regular army," Hunter said. Hunter went to the event in search of more information on health and to find out whether she’s eligible to receive care through the VA. She’s also connecting with other women veterans at the event, something organizers say is so important. "What this women's health care fair means for me is an opportunity to connect with people like me," said Ruth Zhang, who works at the VA doing public affairs. "We want our women veterans to know that they're not invisible and they have a community here at the VA."
Zhang is a combat Army veteran herself. 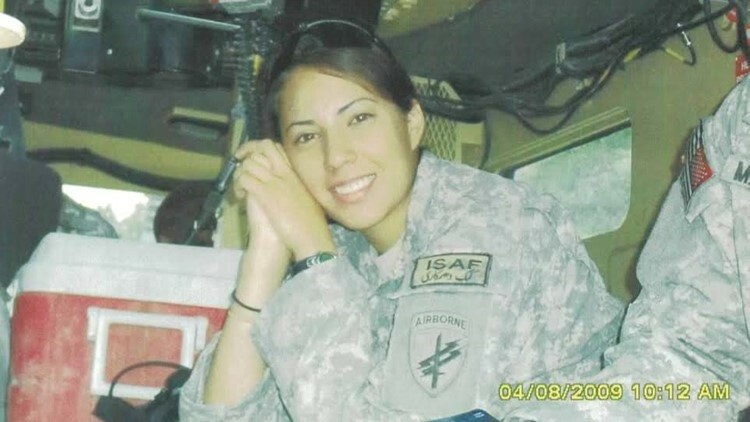 She enlisted when she was just 17 years old, and served in Afghanistan in 2009. "We've had experiences that another woman would understand," Hunter said. "I’m not saying men don't understand them but another woman understands at a different level." Hunter said at the health fair, she got a chance to meet a woman named Joyce, who also served in the military. "I was just talking to one of the veterans here who was in the Marines and she was one of the first women in the Marines. I understand what she went through," Hunter said. For Hunter, Monday is an opportunity to take a big step toward taking care of herself. "I haven't done that in a long time," she said. Zhang said anyone in the community is welcome to attend, from women veterans to family and friends. The health fair is being held in the VA Medical Center Auditorium. The day will be filled with activities like Yoga, Qigong, and Tai Chi. There will also be an opportunity to hear stories from women veterans. The day will end with a two-hour social time that ends at 7 p.m.
Officials with the VA Portland Health Care System said all women’s health issues are addressed at the facility. That includes things like pregnancy care, and other aspects of women’s health. If you're a veteran interested in enrolling for healthcare through the VA and want to know if you're eligible, an enrollment specialist will be on hand. Just remember to bring official military discharge papers. 3-4: Panel discussion: "I am a Woman Veteran"